St. Thomas, “The Railroad City” is an important municipality in Southwestern Ontario. Located just south of London with convenient access to the 401 & 402 Highways, St. Thomas has evolved from a transportation hub to a manufacturing leader in Southwestern Ontario. JAN-PRO has been providing reliable commercial cleaning in St. Thomas to all types of business needing high quality janitorial services. Whether it’s an office building, manufacturing facility, museum, church or school, JAN-PRO has the expertise to ensure a trusted and consistent clean. We’re so sure of our commercial cleaning services that we even provide a 100% satisfaction guarantee. This means that we ensure all of our work and if any issues arise, we will work to resolve them within one day. With certified and trained owner-operators, you can rest assured knowing your facility is in good hands. Furthermore, all of our cleaning teams are insured and bonded, providing an even greater piece of mind. JAN- PRO not only provides St. Thomas with regular office cleaning services but can also accommodate a variety of special services ranging from window cleaning to polishing of marble/granite tile. 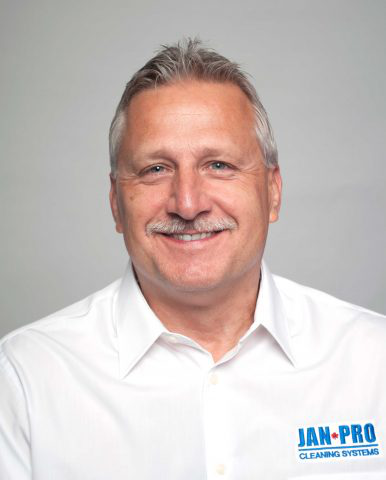 JAN-PRO is always the right call for commercial cleaning services in St. Thomas! Call our office for a quote today at 226-777-0095. Our entire JAN-PRO St. Thomas, Ontario team is WHMIS Trained, MedMetrix Certified, and have undergone thorough background checks, so you can feel confident in your choice of cleaning company. We create custom cleaning packages for each of our clients—meaning you’re only charged for the janitorial services your business actually needs. JAN-PRO St. Thomas does more than clean! JAN-PRO Cleaning Systems Southwestern Ontario is a newer regional office that opened in March of 2014. Our brand new office has attracted many motivated business owners to apply for franchising opportunities. The initial interest and growth of our selected franchisee base has exceeded our regional expectations. We are moving forward with confidence in offering the best commercial cleaning services available to London and beyond!